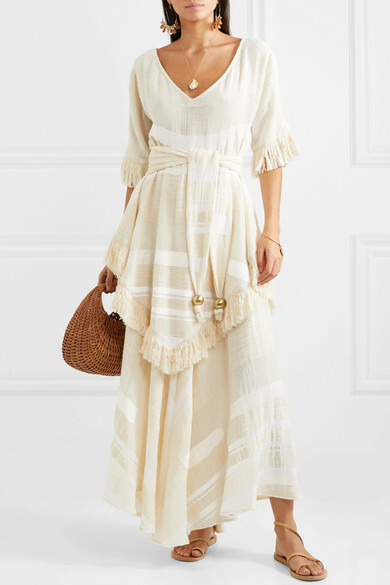 Lisa Marie Fernandez's maxi dress is the perfect beach cover-up, and if you add heels and statement jewelry, it can be worn to a local restaurant for dinner, too. 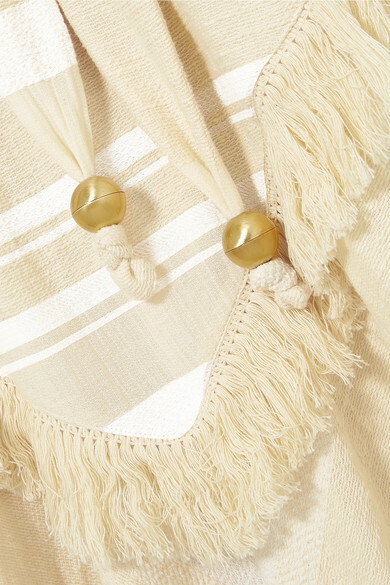 This two-tone style is made from tiers of breathable textured cotton-gauze trimmed with fringe. Cinch your waist with the optional sash come evening. Shown here with: Loeffler Randall Tote, Ancient Greek Sandals Sandals, Alighieri Necklace, Chan Luu Earrings, Alighieri Bracelet.